The next upcoming Orthodox New Year is on Tuesday January 14th, 2020. 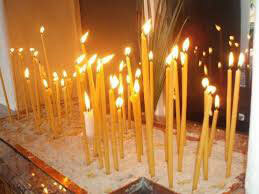 The Orthodox New Year, also known as the Old New Year, is on January 14 in the Gregorian calendar. It is celebrated in the Julian calendar as the start of the New Year. It is not a federal holiday in the United States. Orthodox churches will hold services on this day. Celebration includes special liturgies at the Orthodox churches, buffets, dinner dances, and other traditions brought over from other parts of the world especially eastern Europe and Russia. The Orthodox New Year dates can vary depending on what calendar is observed, however most Orthodox churches follow the traditional Julian calendar as opposed to the newer modified in 1923 Julian calendar that more closely resembles the Gregorian calendar . The Gregorian calendar has January 14 as the observed holiday between 1901-2100 and then January 15 starting in the year 2101. The Julian calendar was founded by Julius Caesar back in 46 BC and later the Gregorian Calendar was founded by Pope Gregory XIII in October of 1582.